PMC has been a leading provider of business skills training in the National Capital Region and across Canada for 35 years. We’re a 100% Canadian firm, and pleased to contribute to the growth and vibrancy of the workforce through a number of local and national events and partnerships. 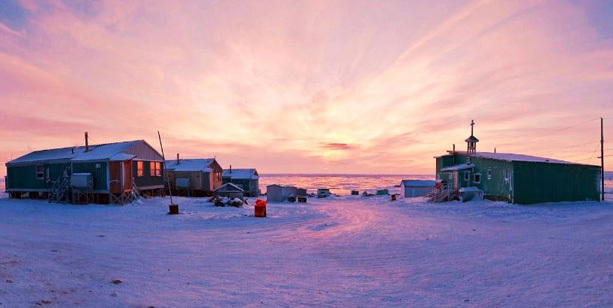 Performance Management Consultants (PMC) is thrilled to announce a training program for people with disabilities that began in late September, 2016 in Baker Lake, Nunavut. Funded by the Government of Nunavut’s Department of Family Services (DFS) through the federal-territorial Labour Market Agreement for Persons with Disabilities (LMAPD), the goal of this project will be to prepare 16 Baker Lake Inuit to enter the local workforce on either a part-time or full-time basis. The small and dedicated team will work to provide work experience, build core employability competencies, help participants gain confidence and make a difference in their community. To learn more about this initiative read the CBC coverage of the project here or read the program blog by PMC’s Erin Strachan here. 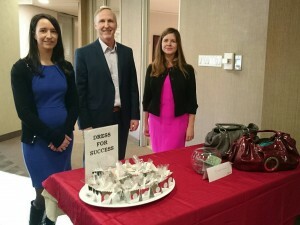 PMC Training is proud to partner with the Ottawa chapter of Dress for Success, a non-profit organization that provides interview suits, confidence boosts, and career development to economically disadvantaged women in over 75 cities worldwide. Throughout November 2015, PMC participated in the “Success is in the Bag” program. We called on our workshop participants to make a difference to employment-ready women who want to change their lives. PMC matched all financial donations received from workshop participants. More information on Dress for Success. PMC was very pleased to receive the 2014 Employer Award from the Brain Injury Association of Canada (BIAC) at a luncheon on September 25 during their annual conference. The Employer Award is one of a dozen or so awards the Association gives out each year in different categories. More information on the BIAC. PMC was graciously nominated for the award by one of its team members who is a brain injury survivor herself, and having had a positive experience with the way PMC accommodated her re-integration into the workforce after her injury. While it is definitely nice to be recognized, we don’t see our organization as doing anything remarkable; merely trying to create the conditions that maximize the contribution and impact that a skilled worker can make. That approach has almost always created a win/win for PMC and our team through the years.